In July 2017, a subsidiary of JAKK Media LLC acquired Sleepopolis.com. Casper provided financial support to allow JAKK Media to acquire Sleepopolis. Derek Hales and Samantha Hales are no longer associated with Sleepoplis.com. We maintain an affiliate relationship with some of the products reviewed as well, which means we get a percentage of a sale if you click over from our site (at no cost to our readers). See our full disclosures here. 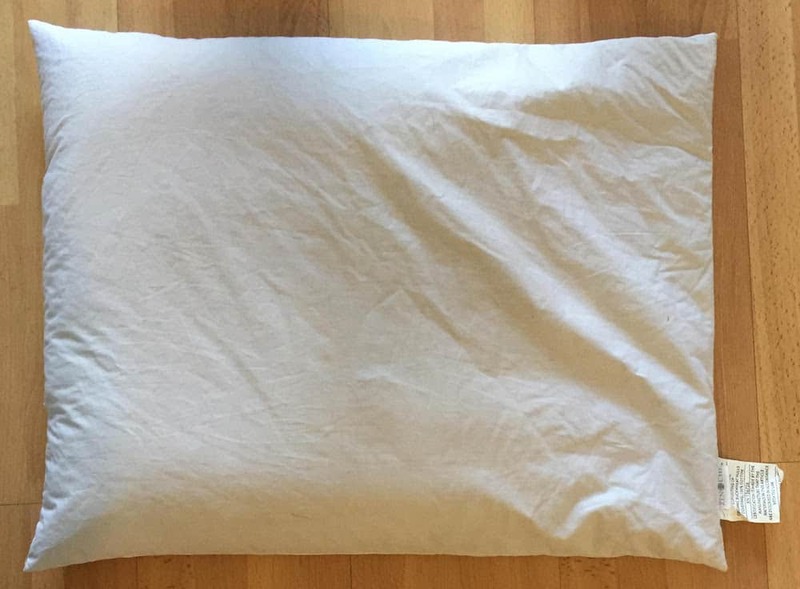 This buckwheat pillow comes from Zen Chi, a company that carries both buckwheat pillows and yoga mats! It might seem like a weird combination, but Zen Chi is all about restoration, so a good night’s rest followed by a yoga practice might do your body some good. First thing’s first: a quick review of buckwheat pillows for anyone who’s new here. For centuries, buckwheat pillows have been used in Japan and other parts of Asia. Buckwheat pillows are filled with buckwheat hulls, which allows the pillow to contour to your head, neck and spine—creating a personalized and supportive night’s rest. The hulls also allow for air to circulate through the pillow to keep you cool; you can add or remove hulls inside the pillow to find a shape that’s just right for you. While buckwheat pillows seem pretty straightforward—get a pillow case, put hulls inside—it’s not so simple. Buckwheat pillows vary in weight, bulk, softness, scent, and sturdiness. I tried Zen Chi out to see how it stacked against the rest. Relieve tension in your head and neck with the shape-conforming Zen Chi buckwheat pillow! According to their website, the Zen Chi buckwheat pillow is filled with 100% organic buckwheat hulls and is chemical-free, so you’re left sleeping without any potential toxins. 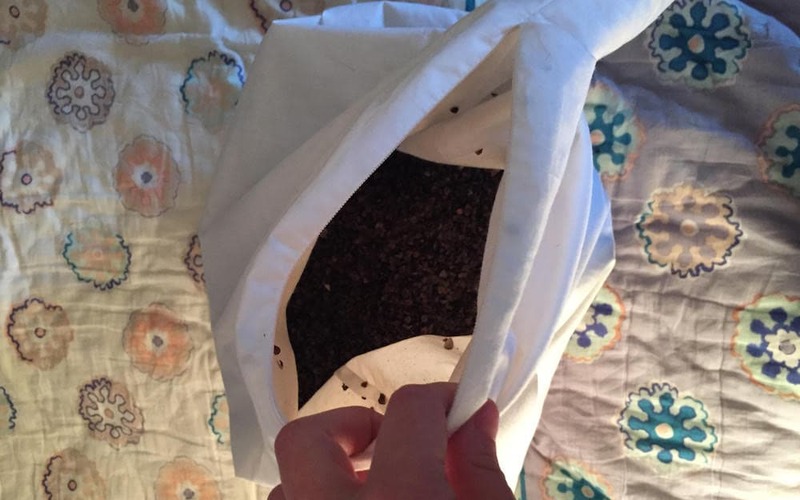 Their site also claims the pillow is odorless—sometimes buckwheat pillows give off a subtle herbal scent—but I actually found it to have a funky smell. After reading customer reviews, I learned I was not alone, yet I also read it tends to fade quickly over time. Moreover, Zen Chi sells pillow cases (something I haven’t seen on any other buckwheat pillow sites), which are premium 400 count thread and probably a nice addition for your pillow. 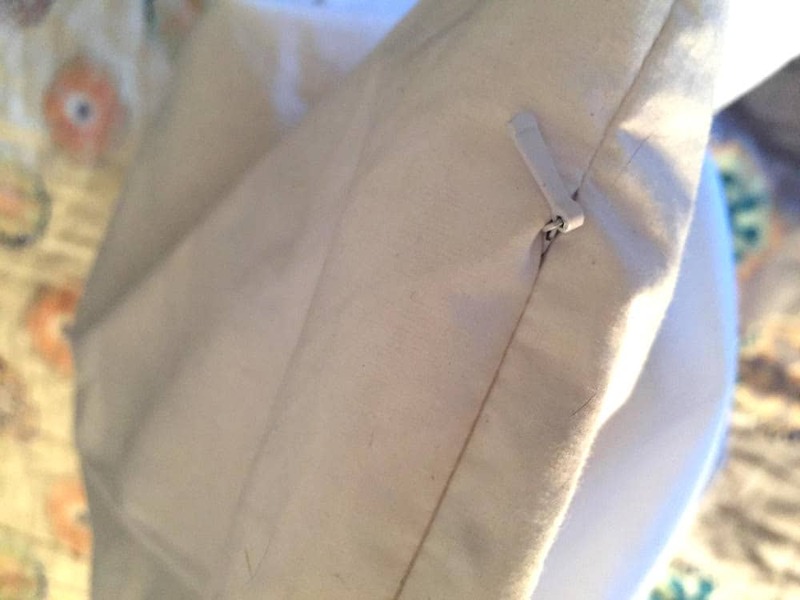 The inner pillowcase is made of thin, white cotton, with an easy-access zipper to add and remove hulls. If you’re someone who likes your pillow extra bulky, Zen Chi also sells replacement hulls online for $19.95. It’s machine washable too, and can be tumble dried. Just remember to remove the hulls before cleaning! Looking for the right pillow? Check out my top buckwheat pillows picks! 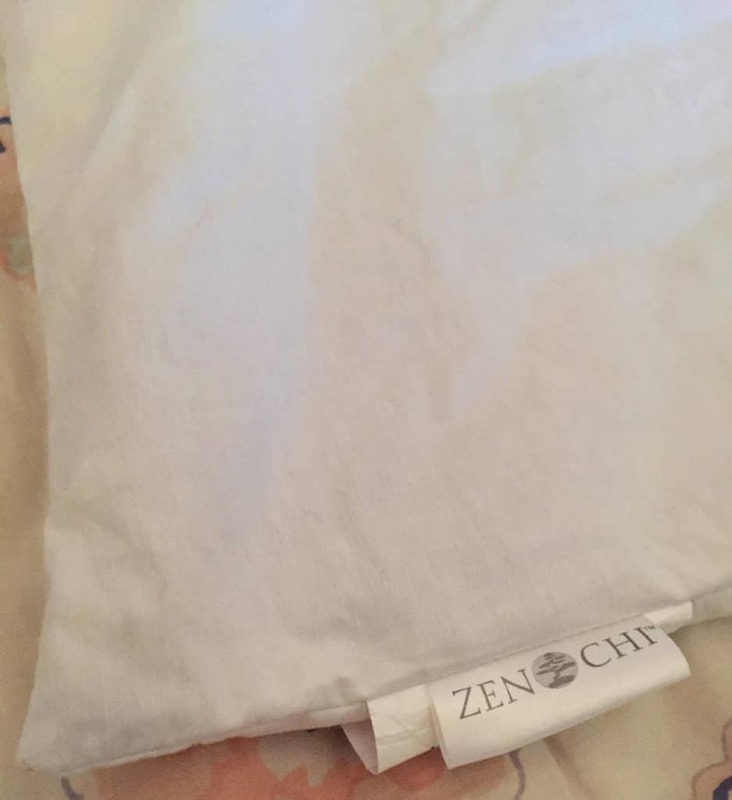 When I received my twin sized, Zen Chi pillow, I was pleased with the packaging. It came in a soft, vinyl zippered bag with a convenient handle. Since buckwheat pillows are heavy, this makes it easy for storage. Like I mentioned before, one of the first things I noticed after opening it up was the odor. It did have a funky chemical smell (more on that below) which was less than ideal. However, I did notice the scent start to fade after sleeping on it for five nights, yet it still is not completely gone. I also saw the pillow was filled with less hulls than others. Yet, once I laid down, I found the extra space inside allowed me to mold the pillow correctly to my head. After a minute or so of adjusting, I found the perfect position for my neck and spine. As for my slumber, I slept well. Being a buckwheat hull veteran, I find them easy to adjust to, and notice how they really make a difference when it comes to eliminating head and neck soreness. The Zen Chi isn’t noticeably louder than other buckwheat pillows, though do be warned that they are a bit noisy due to the hulls moving around. 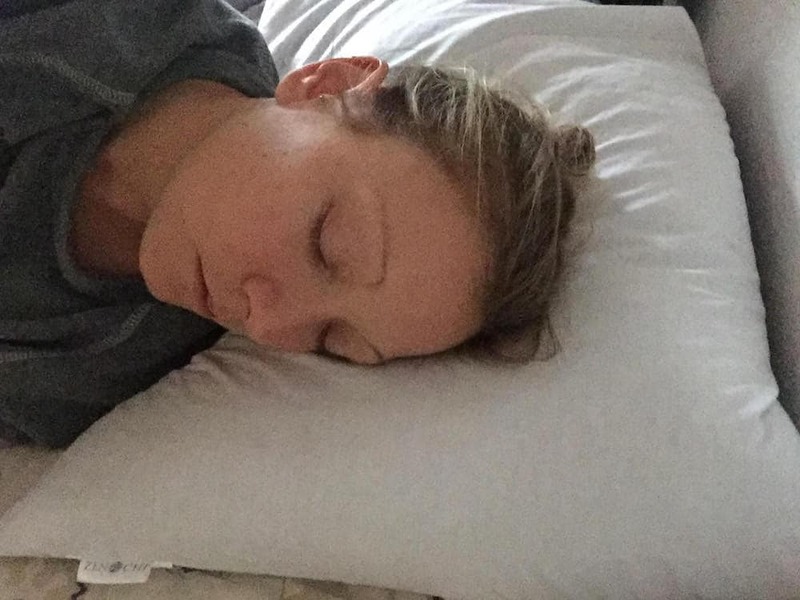 However, I slept comfortably on it, I woke up in a similar position to where I started, and I don’t remember any tossing and turning during the night! I read some interesting reviews online that talked about the buckwheat pillows’ smell. Some people hypothesis that the smell is from fumigating the hulls (making it non-organic), and others think it’s just the natural scent of the buckwheat. We can’t know for sure, but what I can tell you is this pillow does have a scent. So, it sounds like the buckwheat hulls do their job, creating a supportive night’s rest. However, the jury is out regarding where this scent is coming from. Rest assured, it does fade! In my opinion, there are other buckwheat pillows in the market that are better quality and more affordable. This pillow is pretty pricey for its scent and organic issues ($49.95 – $79.95). However, I did sleep well, so more or less, the pillow does its job. It’s low risk – Zen Chi’s redeeming factor is they provide a 100% guarantee for all their products, meaning if you’re not satisfied you can simply send it back—no questions asked, all money back. If you’re unsure if buckwheat pillows are for you, this might be a good place to start. 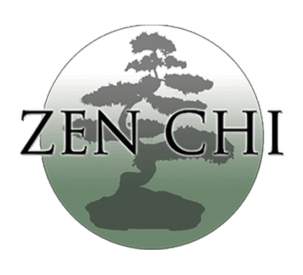 You want options and convenience – What’s nice about Zen Chi is it comes in a convenient bag for storage, is available in four different sizes, and you can also purchase additional hulls and pillow cases. Many other buckwheat brands only offer the pillow itself, so this is a nice perk from Zen Chi. 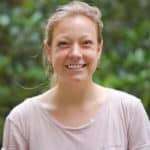 You have head and neck pain – Like all buckwheat pillows, this one does a good job at molding to the contours of your head and neck, helping to eliminate soreness when you wake up. Ready to buy? 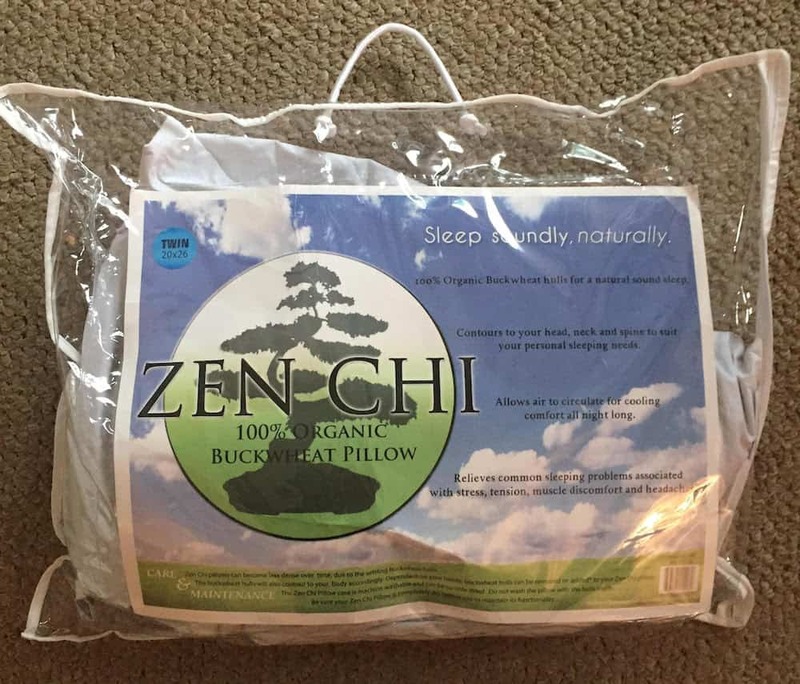 Get the Zen Chi Buckwheat Pillow on Amazon!